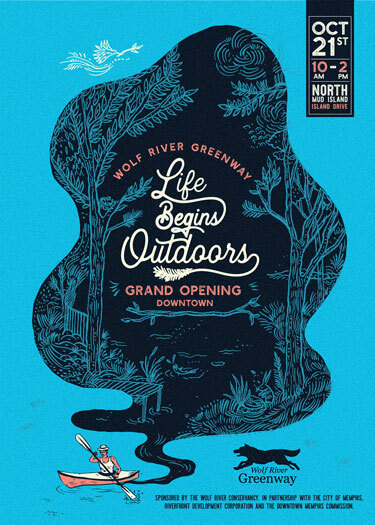 Join us as we celebrate the opening of the Downtown portion of the Wolf River Greenway, a new trail addition for the Memphis community, on north Mud Island where the Wolf meets the Mississippi! DJ Capital A ~ Free Yoga Demonstrations ~ Jimmy Ogle Tours ~ Food Trucks ~ Beer ~ Sache T-Shirts ~ Chalk Art ~ Amurica Photo Booth ~ and more! The Wolf River Greenway is a corridor of protected green space along the Wolf River that includes a paved pathway for non-motorized transportation. 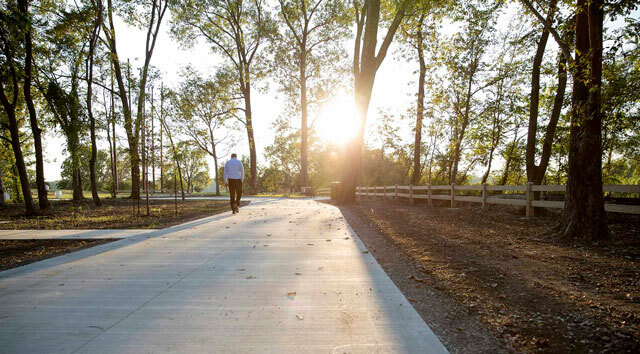 Built in phases, this 23-mile trail will connect neighborhoods all the way from the north end of Mud Island, in Downtown Memphis, through the neighborhoods of north central Memphis, connecting to Shelby Farms Park and eastward to Germantown and Collierville. 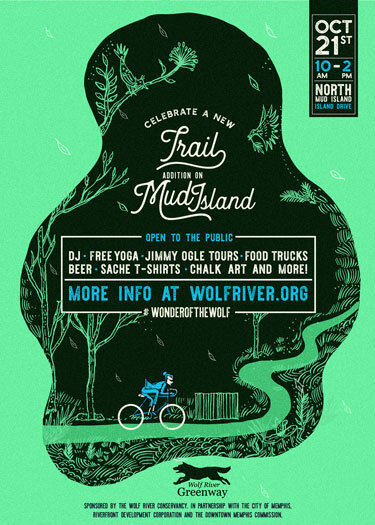 Follow #WonderOfTheWolf for more Wolf River Greenway updates! Let your friends know you're going via our Facebook event page!